"We looked to create unexpected moments that would highlight the uniqueness of DUO while staying true to the Daybreaker experience. 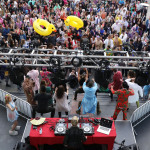 With the"
LOS ANGELES--(BUSINESS WIRE)--Daybreaker, an early morning global movement, and DUO - Olay, Ivory and Old Spice’s newest personal cleansing offering - hosted a one-of-a-kind morning dance party, energizing over 1000 attendees to reinvent their morning. The “Bubbles and Bathrobes” themed party was attended by actress, singer and producer Ashley Tisdale and featured world-famous DJ A-Trak. Held at the entertainment landmark Hollywood & Highland Center in Los Angeles, the party welcomed attendees at 6 A.M. with a yoga session attended by Ashley Tisdale, an interactive pop-up shower with performance artists, and a two-hour dance party featuring A-Trak. 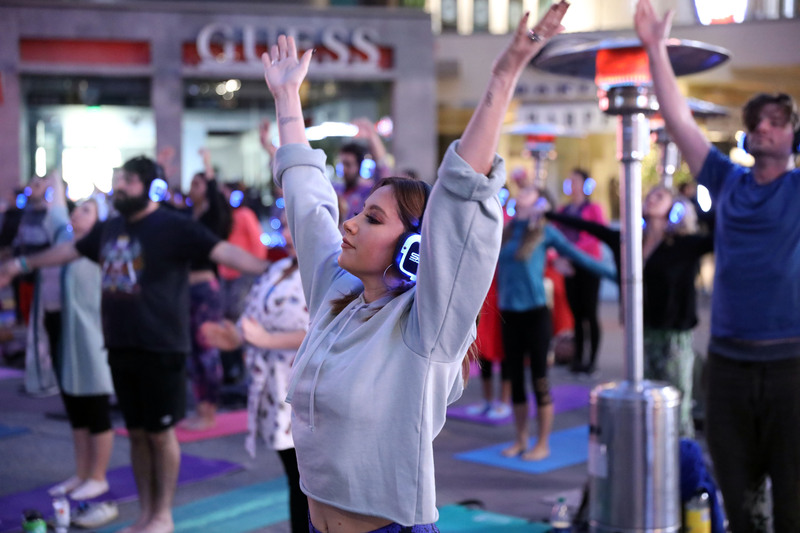 Attendees were inspired to change-up their morning routine; from enthusiastically greeting the sun (rather than sleeping in) to embracing a new way to shower. Brand ambassadors were onsite to give guests a #ShowerDUOver through product demos and samples of the Olay, Old Spice and Ivory DUOs. Consumers can go to cleansingduos.com for more information on the DUO. Also, to join the conversation, tell us about your #ShowerDUOver experience with the brand new DUO product. Whether you use bar soap, body wash with a puff, or both – you can now reinvent your morning and overall shower experience with DUO. Celebrated as “the never before seen two-sided clean,” the unique design of DUO boasts a flexible cleanser encapsulated by a two-sided cleaning implement – one exfoliating side and one that’s smooth. DUO is available in Olay, Old Spice and Ivory featuring Olay and Old Spice’s most popular scents with Olay Soothing Orchid & Black Currant, Old Spice Swagger and Pure Sport, and introducing a new scent from Ivory with Refreshing Clean. DUO is available now in select mass and food retailers and eCommerce nationwide for $9.99 - $12.99 (MSRP). For more information, visit www.cleansingduos.com. 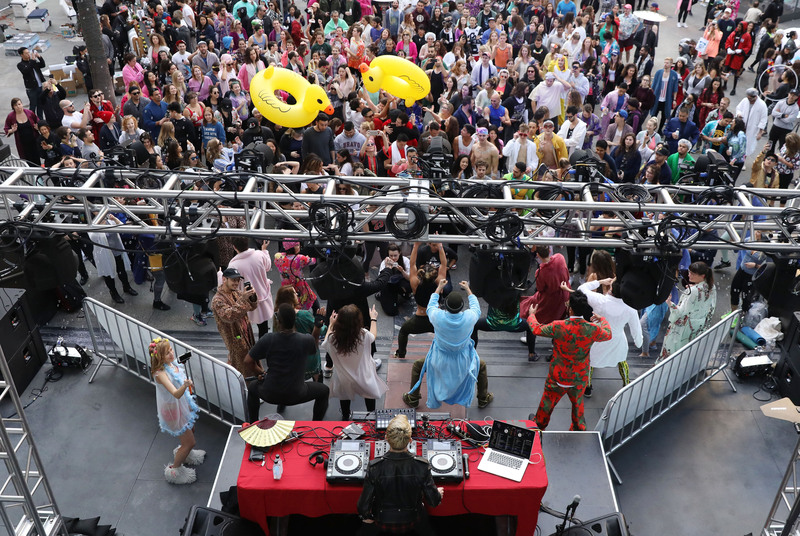 Daybreaker is an early morning dance movement in 16 cities around the world and growing. We start with a one hour yoga + fitness experience and then dance with reckless abandon for two hours before work. You never know where our next location will be and what surprises are in store. We don’t need alcohol. We don’t need to pretend to be someone else. We come as we are to sweat, dance and connect with ourselves and each other. To find out where we’re dancing next, visit daybreaker.com/world/. You can also visit our Community and Content Channel, Morning Mischief at daybreaker.com/morningmischief. Sign up to have our weekly secret sauce for a life of love and mischief sent to your inbox every Sunday.